The Naked & Famous are yet more proof that all the great new music is coming from down under at the moment. Cut Copy, Ladyhawke, Empire of the Sun, Tame Impala, The Temper Trap, Van She… The list of great bands from New Zealand and Australia grows longer all the time. The Naked & Famous are yet another band that came to my attention via a session on Lauren Laverne’s 6 Music show. As a result of this session I bought their rather special début album ‘Passive Me, Aggressive You’ and was rather pleased to find they were doing a date in Oxford (the night before I went on holiday to Paris, made for a slightly knackered Eurostar trip, but hey). As my boyfriend isn’t really a concert-goer and wasn’t joining me I decided to skip the support (especially given how variable the support acts have been recently at the O2) so we could get dinner at a nearby Italian (Fratelli’s for those interested – really good pizzas). After waving T off I headed back to the O2, got myself a pint and found myself a decent vantage point just before the band came on. Despite a few technical glitches (one of the problems with heavy use of electronics in live performance), so much dry ice that I could barely see the band at times and the O2’s tendency to make the bass a bit too boomy (similar problems at M.I.A. last year) it was a great set. Thom Powers is a charming group lead and Alisa Xayalith complements him perfectly – endearingly interacting with the audience during the technical problems. They covered a good chunk of the album – highlights being opener ‘All Of This’ and the singles ‘Young Blood’ and ‘Punching In A Dream’, which were every bit as glimmering power-pop-rock live as on CD, and a couple of more indie-rock tracks from their early EPs which showed a different side to the Auckland five-piece. The band are touring extensively this summer, including a number of festivals in the UK, with a full UK tour in the autumn. If you like electronic-flavoured pop-rock they are definitely worth checking out! The last week has flown by, so I’ve got a bit of catching up to do! Last Monday the NME Radar Tour hit Oxford. 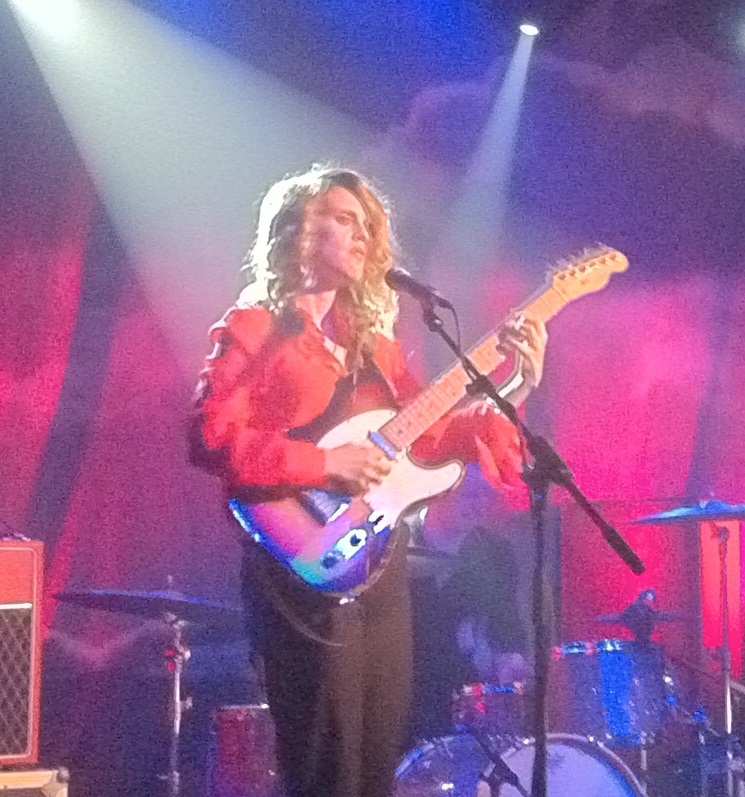 I bought a ticket on a bit of a whim – a friend had been to the Glasgow date and was completely raving about Anna Calvi so I thought it would be worth a look. The supports did not get the evening off to a good start. First up were ‘The History of Apple Pie’ – who not only had a terrible, terrible name, but seems to be determined to revive shoegazing. It wasn’t much cop the first time round (MBV and Ride aside) so they were on a bit of a hiding to nothing. After that were Grouplove who were rather cheesy Americana – reminded me of Counting Crows or some other such forgettable country-tinged rock-pop.